Listed as the Temple of the Divine Mother, Inc.
As part of the India Yatra, Shree Maa visited her childhood school in Digboi. She had one intention on this visit – to help the children who are near and dear to her heart. These beautiful girls are full of potential – but they are limited by the facilities that their school offers. The building is in dire need of repair and the classrooms need to be remodeled and updated with new chairs and desks. Demonstrating her motherly love, Shree Maa donated $10,000 to the school on behalf of the Devi Mandir Family. Now it is our turn to contribute! We are opening up the opportunity to give everyone a chance to change a girl’s future forever! 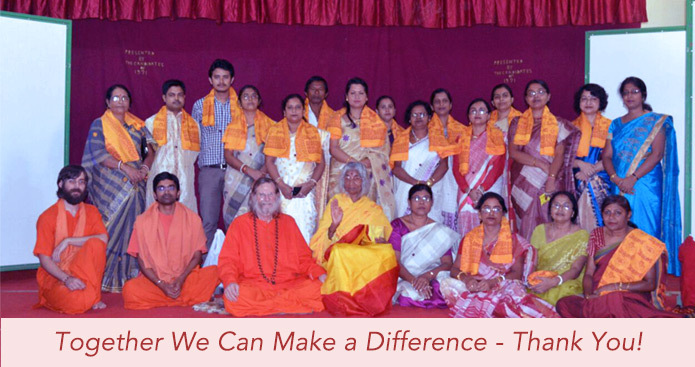 Our goal is to collect $10,000 by December 15th, before Shree Maa and Swamiji arrive back in America. 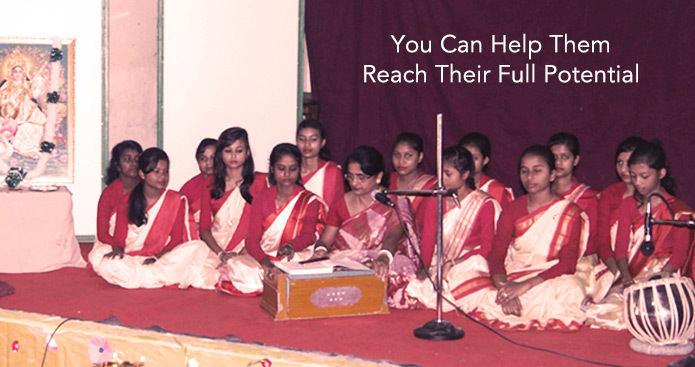 All contributions will go toward upgrading the facilities at the Bengali Medium Girls High School in Digboi, Assam, where Shree Maa attended school as a child.